Northwestern University recognizes that computers and computational thinking are changing everything: the way we work, play, think, shop, and plan. At the Department of Computer Science, we aim to lead that change. As the University continues to deepen its commitment to computer science through radically expanding the number of faculty in this department and developing state-of-the-art facilities, we are pursuing new ideas in all areas of computer science. In particular, our Computer Science + X (CS+X) initiative is uncovering and fostering numerous relationships between computer science and other fields, such as literature, art, medicine, and economics. These interdisciplinary computer science collaborations reach across the entire fabric of the University, continually sparking entirely new fields of study. It’s a combination that offers our researchers and students an educational experience like no other. Faculty and students are developing new ideas to achieve results in all aspects of computer science: systems; theory; artificial intelligence and machine learning; human-computer interaction; graphics; robotics; and various CS + X areas of research. Note: The department offers a bachelor of science in computer science for students enrolled in the McCormick School of Engineering, as well as a bachelor of arts in computer science for students enrolled in the Weinberg College of Arts and Sciences. The computer science-specific requirements of the two degrees are identical. Northwestern students who are interested in changing their major, or simply sampling the computer science field, can take individual introductory courses. 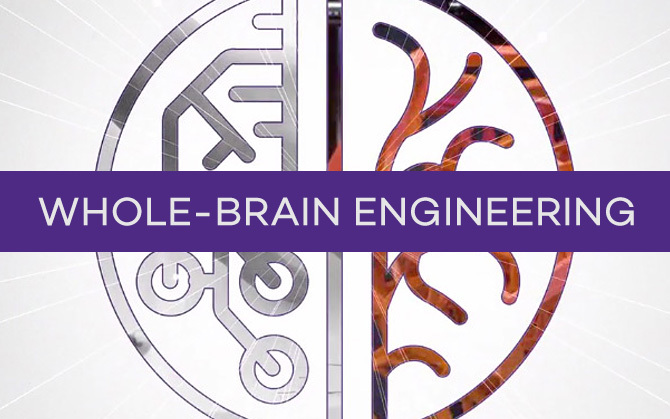 PhD students may earn a specialization in cognitive science by taking six cognitive science courses and may elect to participate in the Crown Family Graduate Internship Program.